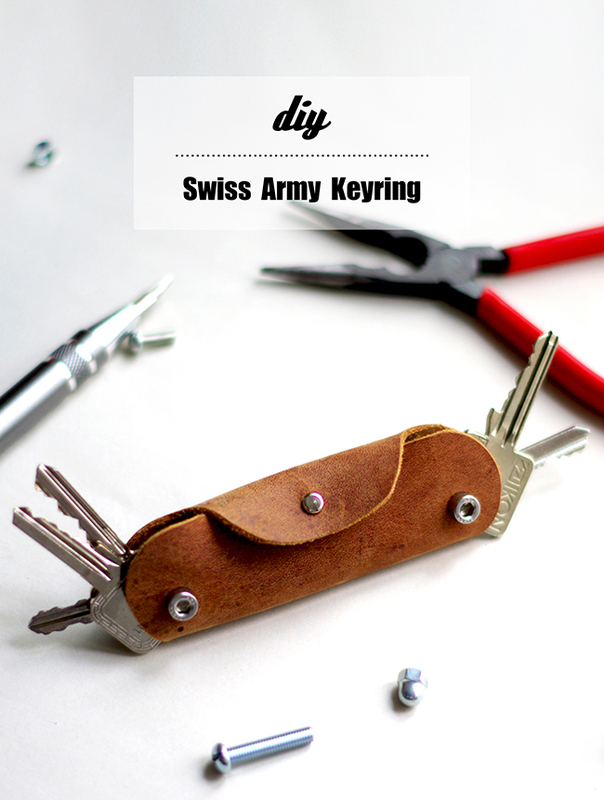 The system behind the Swiss Army Knife is rather genius. 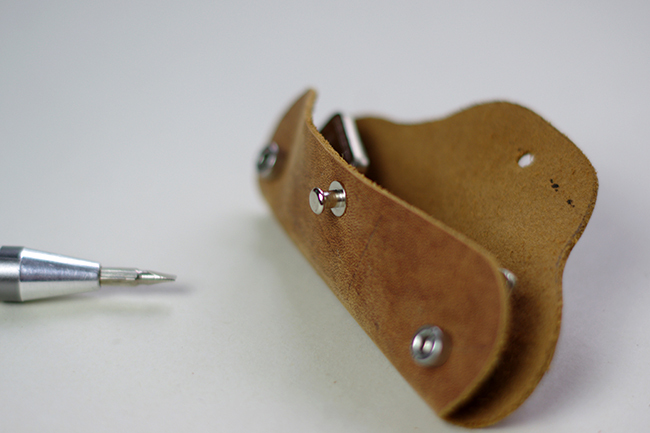 Various tools are stored inside a handle of the knife through a pivot point mechanism. 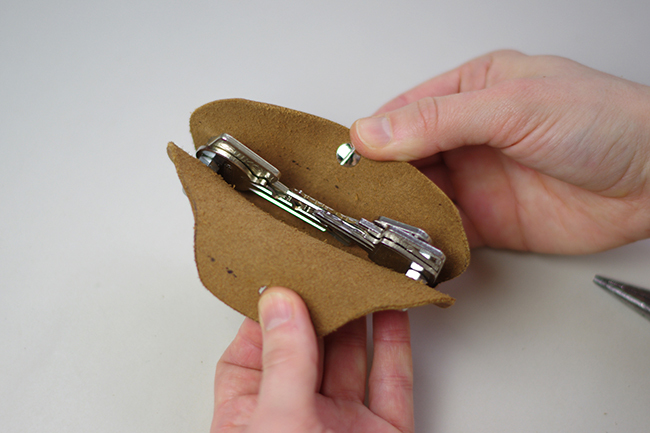 The optimal use of the space inside the “body” create a super compact knife. 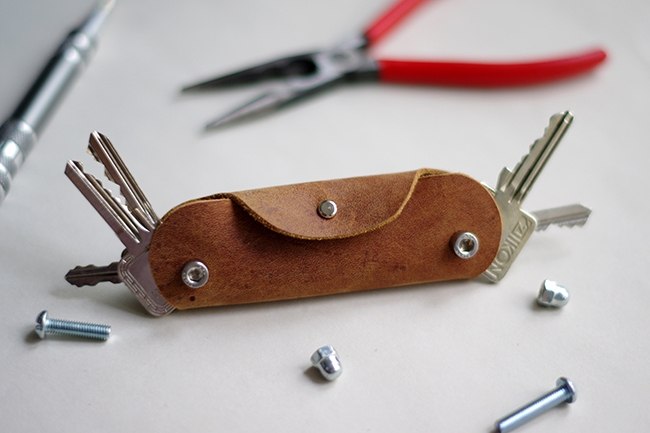 Now take the Swiss system, a piece of thick leather, bolts with nuts and build yourself a perfect compact key holder. No more holes in pockets, no more scratches on the phone, no more rattling while jogging. 1. 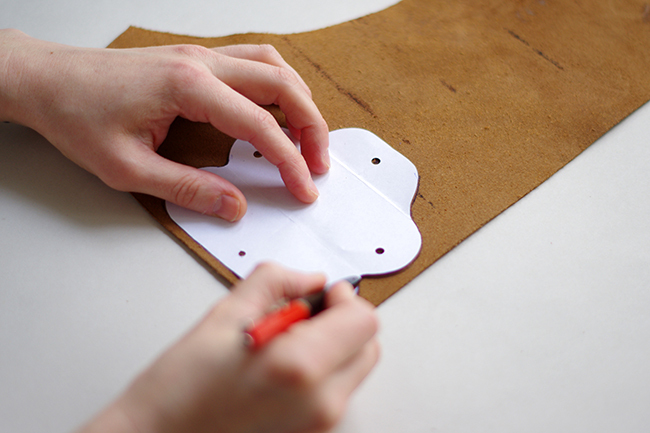 Trace the pattern onto the left side of the leather. 2. 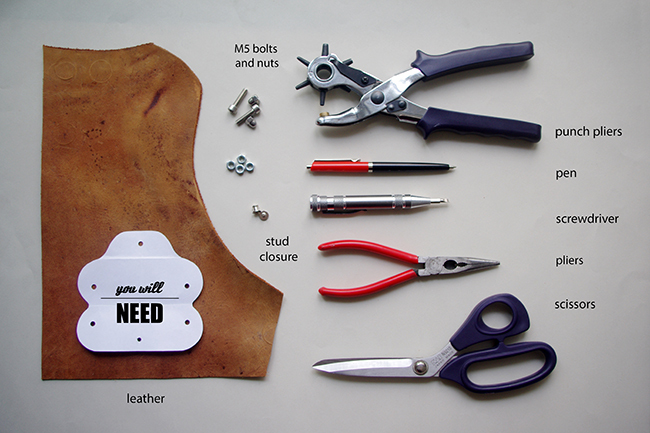 Cut it out and punch the holes for the bolts as shown on the pattern. 3. 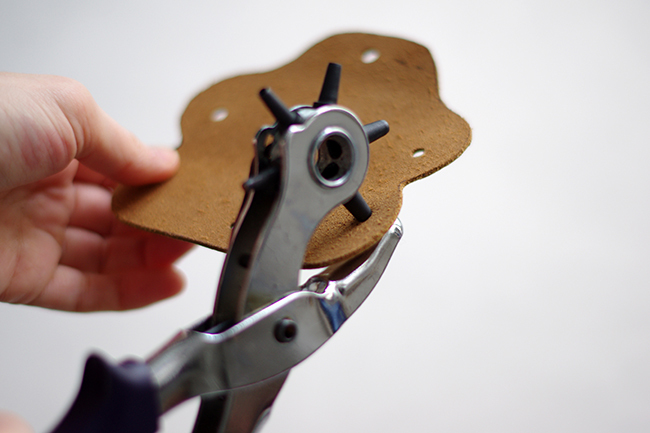 Smooth the edges with sandpaper if necessary. 4. 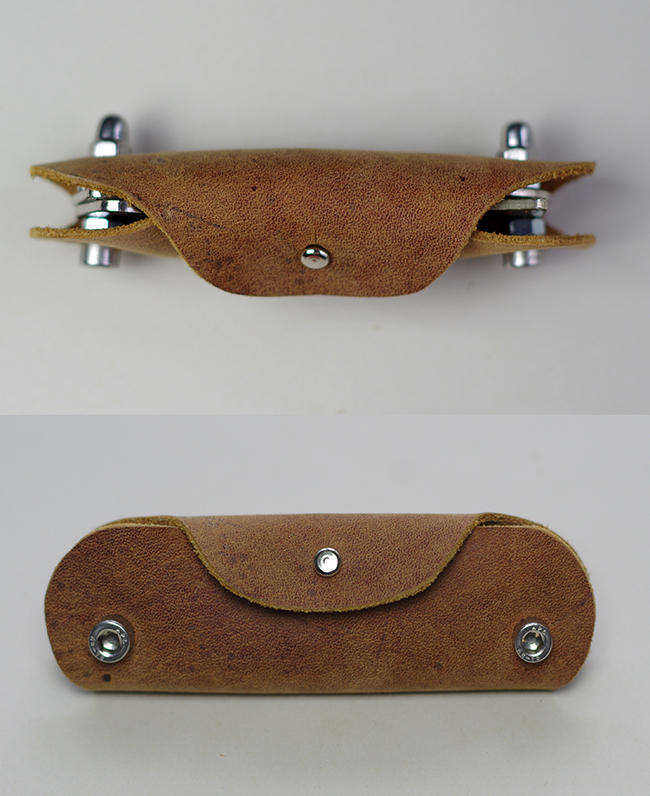 Put the bolts through the holes in the front and secure them with matching nuts. 5. 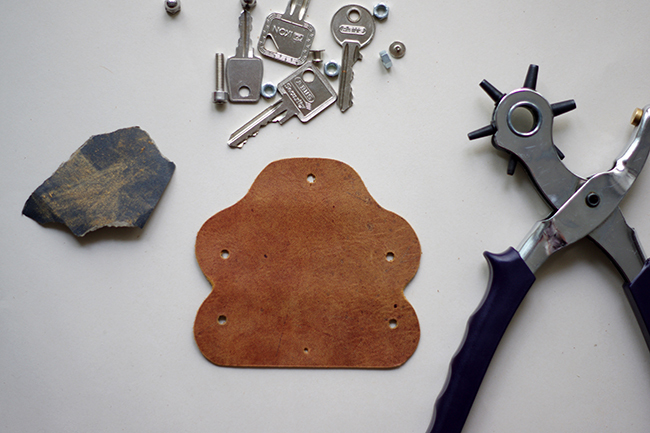 Put your keys onto the bolts, then screw the nuts on. 6. 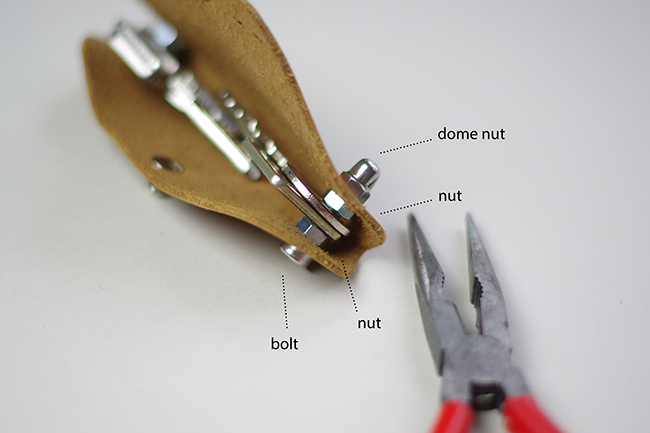 Screw the nuts and the dome nuts against each other. 7. 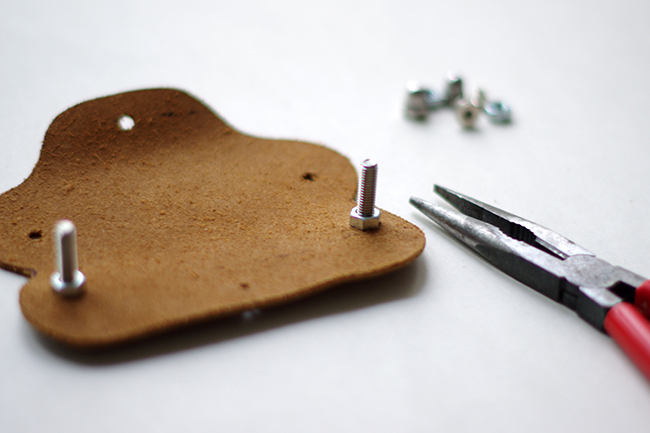 Finally add the button stud to the leather. You can also use a ring on one side instead of a bolt. 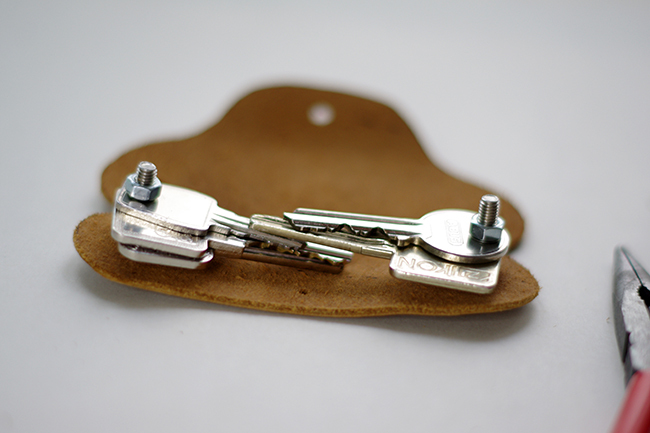 This version works great for keys with smaller holes. Hi! I'd suggest washers between the keys and the leather, and chicago screws instead of bolts n nuts. 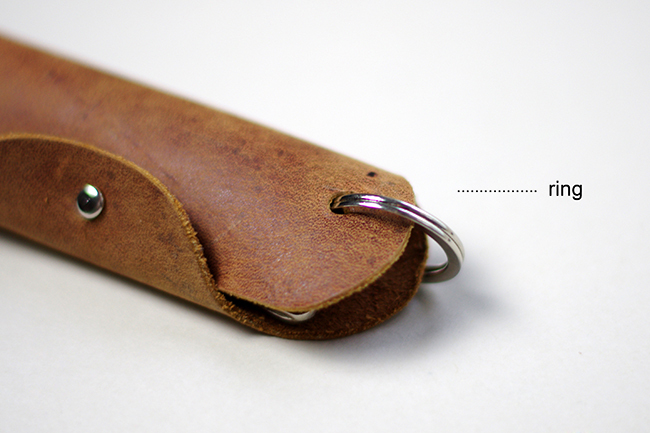 Those can be found @ Tandy Leather. Great project – thank you very much for the pattern! Thanks for this – it would be great to know the sizes of the screws used and the dimensions of the holes made if possible?